Reese's Cups are a classic American 'candy'. Sweet peanut butter is encased in a creamy milk chocolate, in a small 'cup' size. Until now. The Olde Sweet Shop in Manchester, stocks the most wonderful version of Reese's Cups: bigger, singular cups. I bought one (£2.00), and found it to be an absolute joy. 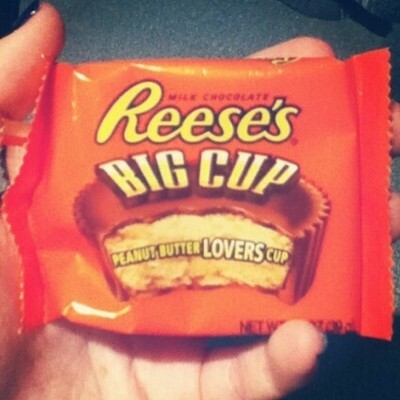 It tastes exactly like regular Reese's Cups, but with extra everything. It is a delight.